“We won best stall, whoop, whoop . . .” the text I received from the very excited MD of Sixth Scents made my day, I am a very proud business adviser! 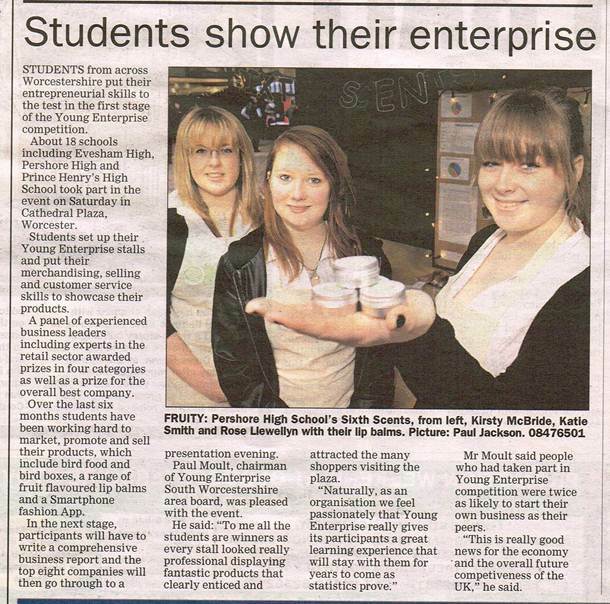 I have been working with a company called Sixth Scents at Pershore High School. Once a week I join them for a business meeting and always return to the office bouncing and ready to go. The enthusiasm and creativeness from such young entrepreneurs is enlightening. Working with Catherine Lewis from Balmolgy they have created a range of 100% natural lip balms. I know I am biased but I am hooked, the product really does work! My favourite is ‘Comforting Coconut’. This entry was posted in Local community. Bookmark the permalink.